nJAMS provides real-time visibility into your end-to-end business processes, with defined views depending on the end users. That means your business teams can identify the status of process instances, while your IT teams monitor process performance and prevent problems. Enterprise architects can also use nJAMS to simplify development, migration, testing and monitoring of critical business processes. 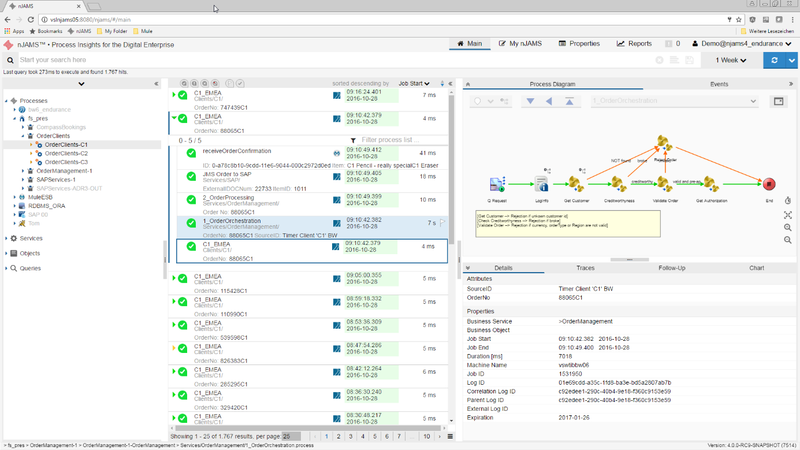 nJAMS captures all the run-time details of every one of your TIBCO BW processes. It then makes them available for visualization, correlation and further processing in the scope of an end-to-end business process.